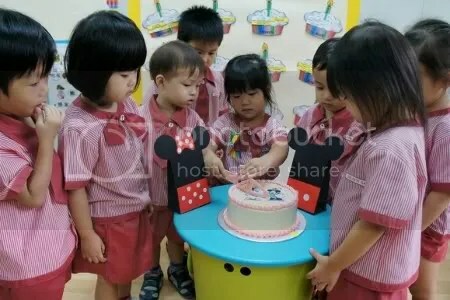 This was the very first time Anya celebrated her birthday in school with her classmates! 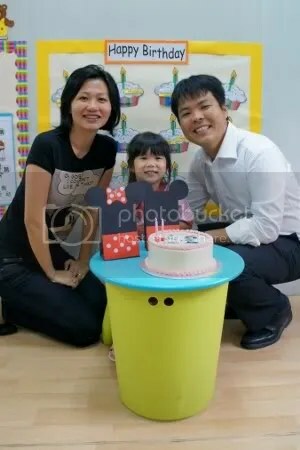 She chose a Minnie Mouse and Daisy Duck cake from Bengawan Solo for her school celebration and I prepared goody bags for her classmates. 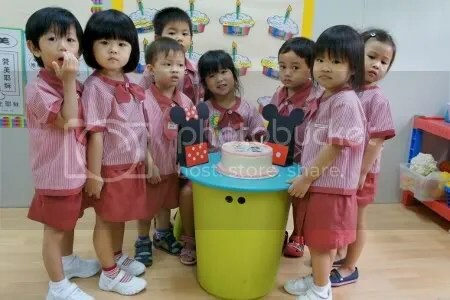 She had been looking forward to this celebration for weeks but became quite shy when her friends started singing the birthday song to her. 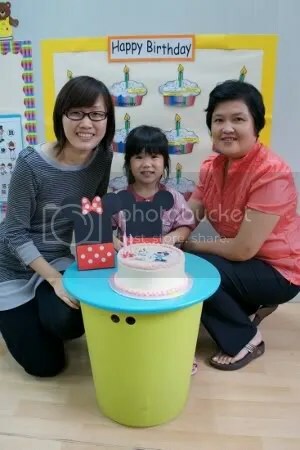 It was really nice to chat with her teachers and hear about her progress in school. They told us that they call her 干杯 because she always gulps down her Milo and asks for more. Haha! 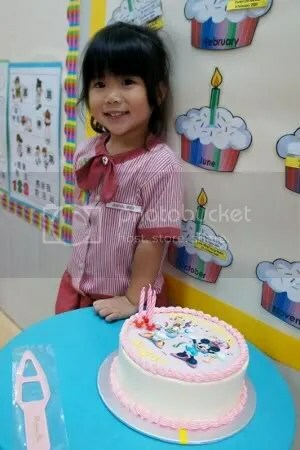 A few of her classmates were absent so we had almost half a cake leftover. 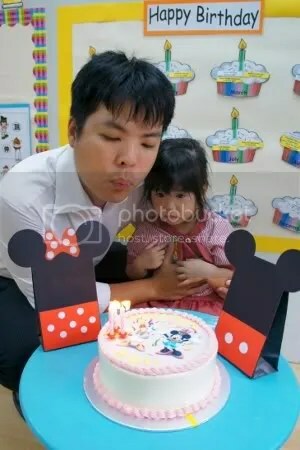 This entry was posted in Uncategorized and tagged anya, birthdays, Disney, school on March 8, 2012 by delphine. I love the first picture. So pretty!!! Yeah, her chin looks so sharp! Cute – she’s quite photogenic! Thanks! She’s now in her Temperamental Threes! ARGH!